This casebook emphasizes doctrine, policy, and practice. 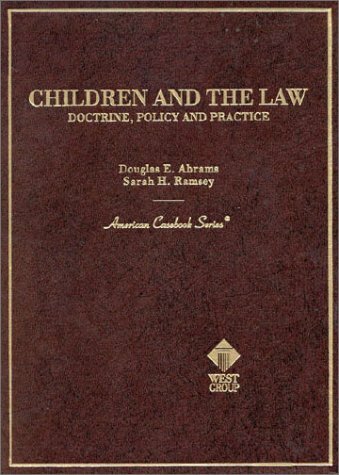 It presents three central themes: the interrelated rights and obligations of children, parents, and government; ways the legal system assesses and uses children's competence to shape regulation; and the role of the child's lawyer. Volume covers several relevant international law issues, including the UN Convention on the Rights of the Child, international child labor, and U.S. tobacco exports to children overseas. 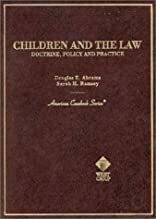 The authors have devoted entire chapters to the representation of children, the meaning of parent, abuse and neglect, the foster care system, adoption, medical decision-making, support and other financial responsibilities, protective legislation, and delinquency.